Alfreton Town look to hit back after Saturday's shock 7-0 defeat to Altrincham as the Reds host Hereford in the National League North tomorrow night, kick off is 7.45pm. After a shocking performance on Saturday which saw us concede seven for the second time this season but this time brought our worst ever home defeat, Billy Heath stressed he would pick the side that would give the most effort rather than the best ability. The Impact Arena was stunned with the display, more so due to the fantastic six game league unbeaten run the Reds had been on prior to the Altrincham game. The Reds started well and had a penalty shout on Josh Wilde turned down within the first minute but the Robins soon gained control and never looked back, scoring three first half goals. Ceesay converted at the second attempt with a header after his first header hit the bar, this came after Sam Ramsbottom mis-judged a cross from the right. Hulme converted into the far corner before Johnston scored the third from the penalty spot after an apparent handball in the box. The Reds looked to attempt to turn the game round but the response and fight never came; Hancock fired into the bottom corner on the hour mark to make it four. We then conceded three times in the last five minutes of the contest, Ceesay headed into an empty net after an initial save from Sam, Hannigan headed towards goal from a corner with the ball hitting Josh Clackstone and going in, Jones then curled one into the bottom corner to complete the rout. It was a result that was totally unexpected with both sides in great form but only the Robins seemed to turn up. The Reds will now need to fire back and deliver a response not only for personal pride within the side but also for the fans with the visit of Hereford tomorrow night. 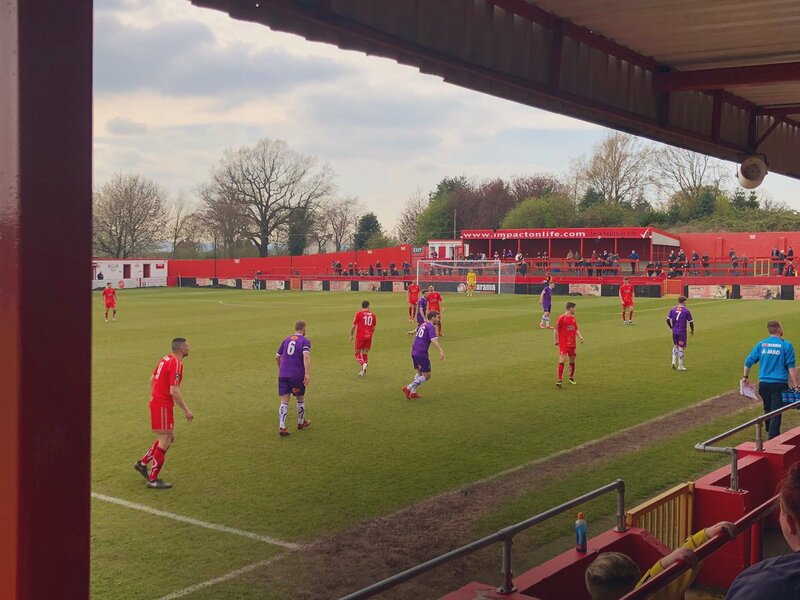 A push towards an impressive top ten finish will now be a new realistic aim and Alfreton will look to get back on track in terms of performance tomorrow. The Reds head into the game having lost just once in their last seven league games, however we haven't registered a win in our last three fixtures, which have seen us draw twice and lose once. Alfreton will be looking for a third win in their last four games at the Impact Arena. The Bulls arrive to us sitting in 16th in the league table with 46 points from 37 games, two points and two places below us. Their current playing record stands at: P37, W11, D13, L13. Hereford are in good form, sitting 6th in the form table with ten points picked up in their last five games. Their last outing was a well earned 2-2 draw against title chasers Stockport County on Saturday. The Bulls have lost just once in their last nine league games and haven't suffered defeat on the road since a 2-1 loss at Kidderminster back in early January. The visitors are unbeaten in their last seven away games in the NLN (W3, D4). James Clifton remains a long term absentee due to recent surgery for his injury, Luke Shiels will also be assessed after a suspected head injury in Saturday's game with Altrincham. Hereford 2-1 Alfreton Town (Saturday 1st December 2018) - The Reds made just one win in the last ten league games with December's defeat at Edgar Street which saw Symons give the Bulls a 1-0 lead which was held until the 87th minute when Craig Hobson headed home. But a penalty in stoppage time sealed the points in a deserved 2-1 win for Hereford. This fixture is SEGREGATED - Hereford fans can enter the Impact Arena at the Alma Street entrance. With designated pubs for away fans located in the town, the club can confirm that no alcohol will be served inside the ground to travelling fans and those who are deemed too intoxicated will be refused entry.